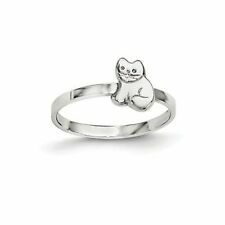 10Pcs Lovely Mixed Lots Cute Cartoon Children/Kids Resin Rings Jewelry Gift S! Age Group: Toddlers, Girls or Pre-Teens (Safe for Sensitive Ears). This super sweet pair of earrings are of a cute little mouse head crafted of 925 sterling silver which is perfect for sensitive ears, and features a pretty pink cubic zirconia for added shine. Sea Lion, Dolphin, Penguin, Seahorse, Octopus & Shark - Very Cute! Silly Bands Silly Bands Silly Bands. 6 Different Ocean Life Tie - Dye Silly Bands. 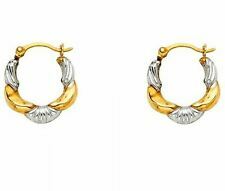 Includes 1 Pair Of Genuine 14k Gold Earrings. Free Push Back (Brass). We will try our best to reply as soon as possible, usually within 24 hours or less. Material: copper. 1 x Bracelet. Our goal is. The bracelet you are viewing is made up of White and Pink Glass pearls, Silver spacers and silver plated Acrylic Alphabet beads. This bracelet will be finished with a Princess charm and grow chain. Never leave any child unsupervised while wearing any jewelry. Our goal is. 1 xBracelet. This toddlers bracelet is elegant and adorable but is much more than just a fashion accessory. Help keep your child safe in style with this kids ID bracelet. 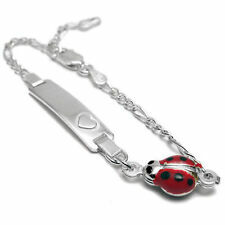 ID Bracelets are Great Gifts for Toddlers or Children; Gift Box Included. 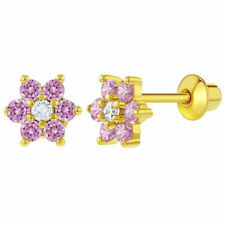 14kt Pure Solid Gold 3MM Cubic Zirconia Stud Earrings.....100% Guaranteed! 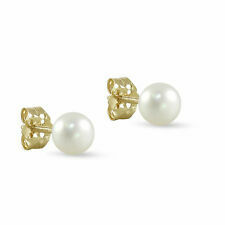 INCLUDE 14KT GOLD 4MM PUSH BACKS! CUBIC ZIRCONIA. SOLID GOLD. HAVE FUN AND GOOD LUCK! ANYWHERE IN. See other Styles and Quantities. Don't miss out! SUPPLIES ARE LIMITED. 5 out of 5 stars - 14kt Pure Solid Gold 3MM Cubic Zirconia Stud Earrings.....100% Guaranteed! 6 product ratings6 product ratings - 14kt Pure Solid Gold 3MM Cubic Zirconia Stud Earrings.....100% Guaranteed! Number of the Beads: 25. 925 Sterling Silver CZ Heart Charm Baby Hoop Earrings Toddlers Girls 0.31"
These adorable mouse screw back earrings will make a wonderful addition to any little girls jewelry box. Screwback earrings for toddlers feature a safety screw back finding to allow for a comfortable and secure fit. Silver Plated Teddy Bear Bracelet Link Identification Toddler Children Kids 5"
If you have a new niece, granddaughter, goddaughter or little princess in your life, look no further for the perfect gift. A little girl brings love in to your family and this silver plated ID teddy bear bracelet for girls will give her a gift to love. 18k Gold Plated Mouse Hoop Huggie Earrings Pink Crystals Teens Girls 0.39"
Bring out all the joy in your kids smile with our pink crystal mouse huggie earrings. Little Mouse Hoop Huggie Pink Crystal Earrings. We encourage you to take a look around, browse through our categories and participate in our online community. Sterling Silver Baby Size Bell Bracelet. It weighs a tad under 3 oz. I use only the finest 19 ply stainless steel wire and crimp covers so as not to scratch delicate skin. 20Pcs Children Rings. Material: Plastic / Resin. hope you could understand. Unique and popular DIY craft. Size : 16mm. Rhodium Plated Brass. These beautiful screw back earrings feature an adorable and fun mouse face with a bow, and orange crystals brightening the outlined of the face. A charming and sweet gift, this pair also are fastened with screw backs so you won't have to worry about your little princess losing one at her favorite park. Real 10K solid yellow gold baby bracelet 5.5" kids ID bracelet adjustable 4.5"
Item : baby id bracelet. ALSO AVAILABLE IN LOVELY MOMMY / DAUGHTER IVORY PEARL SETS. 3 Piece IVORY Faux Pearl. Necklace Bracelet & Earring Jewelry Set. Necklace is 12.5" Long with a 2" Back Extension Chain. CHILDREN WHITE & TEEN WHITE PEARL SETS. Beautiful from every angle, animal jewelry is a must in your little girl's accessory box, petite and delicate. Featuring pink cubic zirconia, these lovely turtle earrings with screw on backs are perfect for girls and teens. Size: 3mm Weight: 0.1g. 14K Real Gold Properly Stamped & Marked ( Not Gold Plated or Gold Filled ). PICTURE SLIGHTLY ENLARGED TO SHOW DETAILS. 18k Gold Plated Simulated Azabache Evil Eye Protection Bracelet for Babies 4.5"
Are Necklaces Safe for Children? Some parents are concerned about giving children necklaces, as the chains may pose a choking hazard. Children of school age should be fine with most styles of necklaces that do not have sharp pieces of metal on them, but there are also many styles of child-friendly necklaces for younger kids. For example, necklaces made with elastic cord rather than chains tend not to snap when they catch on something, and it is possible to get necklaces that have magnetic clasps that pop open easily if they snag. Parents should always supervise children while they are wearing necklaces to ensure they do not put beads or pendants in their mouths. Furthermore, parents should never let a child sleep while wearing a necklace. When Should Children Have Their Ears Pierced? While experts agree that choosing to pierce a child's ears is a personal decision, many medical professionals recommend waiting until the child is at least six months old. This is because babies have developing immune systems, so they may not have the ability to fight an infection that may occur because of the piercing. Some parents prefer to wait until the child is old enough to make the decision. There are options for parents who do not want their children to have pierced ears. Clip-on earrings are a good solution for very young children, as they grip the earlobe firmly, and it is possible to buy costume earrings with magnetic clasps. 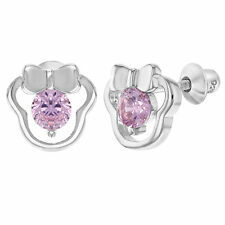 What Is the Best Jewelry for Babies? When buying jewelry for babies, consumers need to consider safety as well as style. 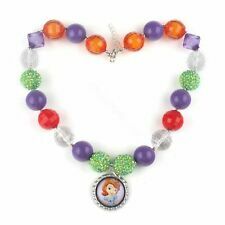 Most jewelry items intended for very young children have safety clasps, and tightly woven charms and beads that are unlikely to fall off to become choking hazards. However, for a teething baby determined to chew on anything, a decorative cloth headband is a cute way to add some glamour.